In case you need to manually import transactions to your Account Settings, here's how! 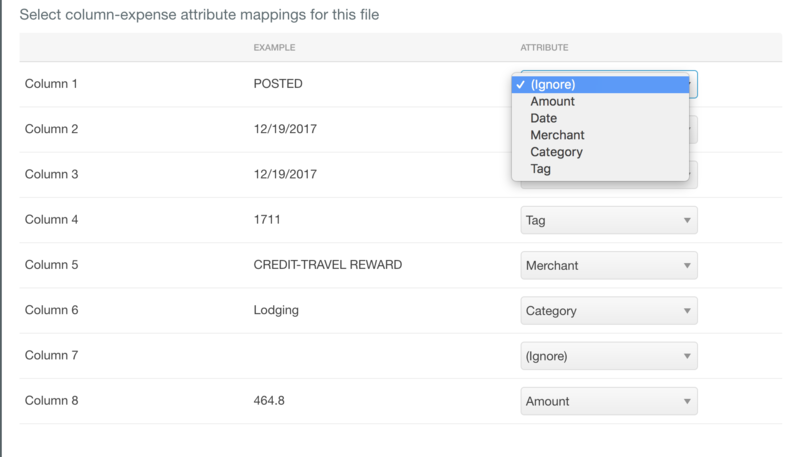 Why import a CSV/OFX file of bank transactions? Download an OFX file or a CSV/XLS spreadsheet of your expenses directly from your online banking account. On the next screen, select "Upload". Define the details of this upload so you can easily identify its contents. Set the date format and currency to match your needs. If you have previously imported a spreadsheet, choose your preset mapping and everything will be filled in. Scroll down and pick which columns have the merchant, date and amount in them. These are the 3 required presets that must be assigned prior to uploading. Additionally, you can also map the category and tag when uploading your CSV spreadsheet. Check the preview of your selection below and when it looks good, click ‘Add Expenses’. 4. 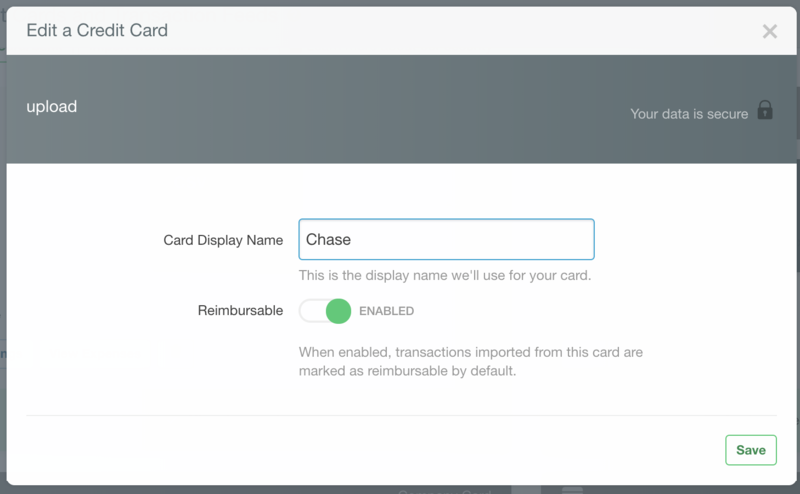 When the upload finishes, click ‘Add Expense’ to close the dialog and view your expenses. You should then see these all import into your Expenses list. Here, you can rename the account as well as decide whether these transactions should be reimbursable or non-reimbursable by default. If you need to remove an imported spreadsheet, you can select the red trash can icon. Please remember this will remove all unreported and un-submitted transactions from your account that are tied to this import, so be careful! I'm not able to see the transactions I have imported when I click "View expenses". Why? 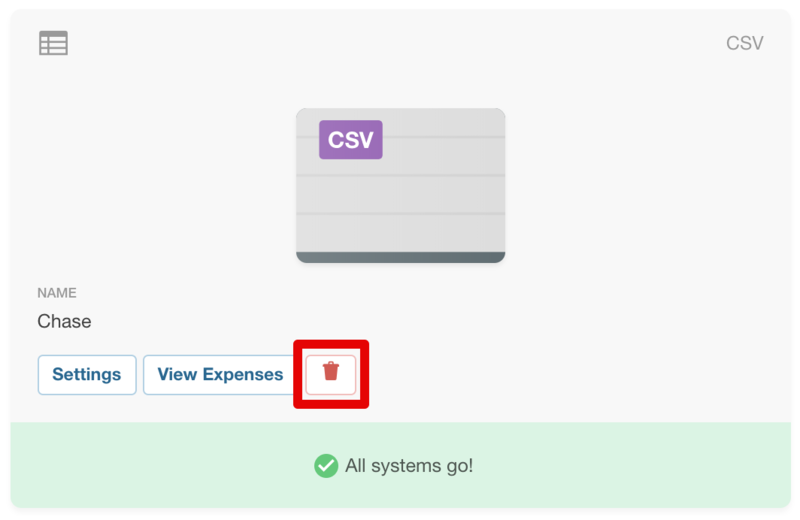 If you aren't able to see the expenses, try using the filters at the top of the Expenses screen to open up search criteria (such as the date) which often reveals "missing" expenses. Why didn't my spreadsheet transactions merge with the SmartScanned receipts or receipts that I emailed to receipts@expensify.com? Our merge troubleshooting guide should help resolve this!